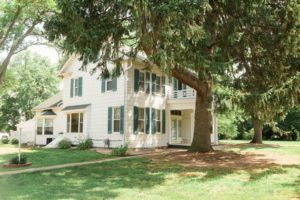 Just south of St. Louis is one of the last hidden treasures of the Midwest, where Maeystown, Illinois bed and breakfasts will provide the charm and comfort that will make your visit complete. Hotels in Maeystown, Illinois are few and far between. As one of the few towns listed in its entirety on the National Register of Historic Places, Maeystown is very particular of what businesses reside there. Original stone, brick, and wood buildings make up the historic 1800’s German village. If you want to stay in the village itself, select one of our historical inns for your visit. Historical in structure and make, the accommodations at our Maeystown inns reflect the area’s history while providing charming and comfortable ambiance. Let our innkeepers provide warm rooms and wonderful breakfasts during your stay. Explore Maeystown’s antique, craft, and gift shops, or enjoy a carriage ride in the country. Follow the picturesque bluff road to the Fults Hill Prairie Nature Preserve. Travel a little further to the Heartland Rivers Wine Trail wineries and nearby Waterloo, IL for additional activities and sights. 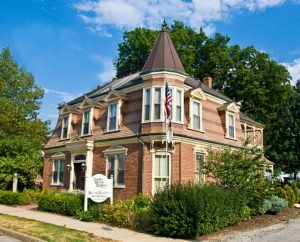 Let the Maeystown member inns of the Illinois Bed and Breakfast Association welcome you to the charm of our historically restored and preserved town!